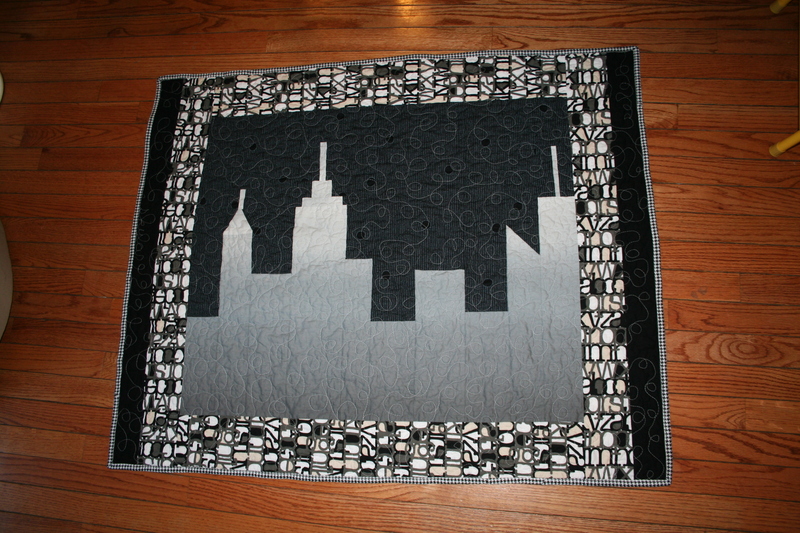 For those of you who don’t know me, I have a small obsession with piecing the New York City skyline. Okay, it’s a big obsession. 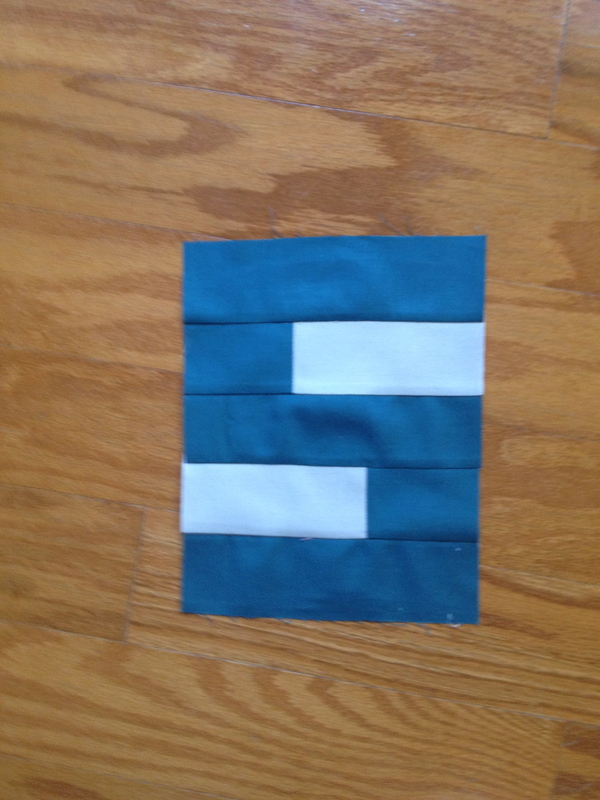 I keep thinking of different ways to piece it, different fabrics to use, possibly writing a pattern for skyline quilts. Though I was born in Rhode Island and lived there until I graduated high school, New York is where I grew up, living in downtown Manhattan while going to NYU and in Brooklyn for two years after graduation. It wasn’t pretty, but it has made me who I am today, and I can’t seem to shake it. Now I’m only a thirty minute drive away, but I don’t go there as much as I want to, and so I write and quilt it as much as possible. This idea came from wanting to make a less obvious, more adult design. I’ve been sitting on it for awhile, waiting for the perfect person or reason to make it. And last week I found him/it. 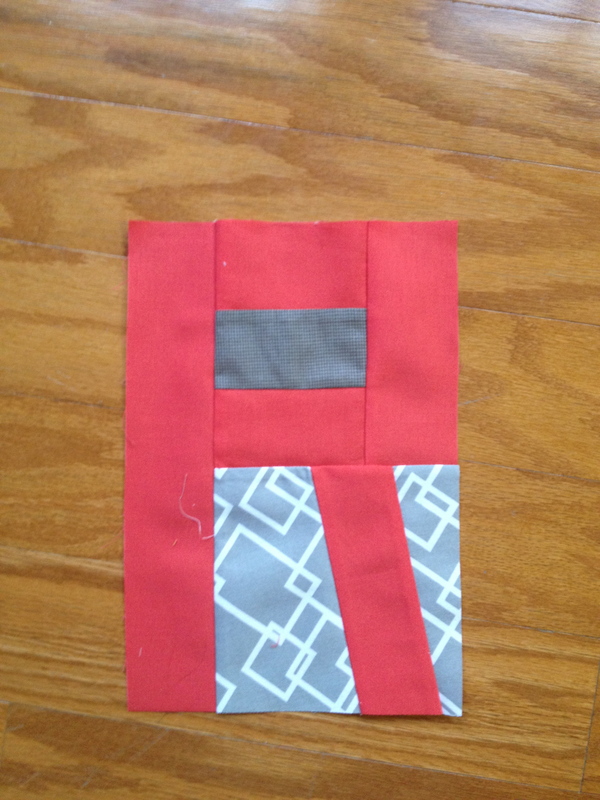 I do want to keep it a secret for its future owner, but the detail that started the quilt momentum is text quilting. I’m going to put a word on the back, and I had a lot of fun this weekend piecing some letters. 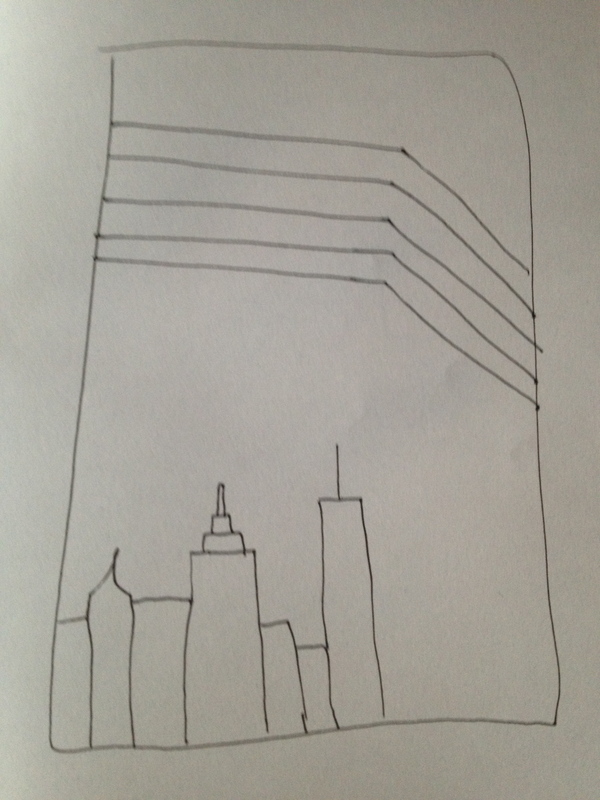 Next up are the buildings, and then some negative space and stripes. I started with the back because I didn’t have enough of a fabric I wanted for the front, and when I called RPS they had exactly as much as I needed. It was a sign that this quilt was meant to be. I love when that happens. Looking forward to quilt class tonight! 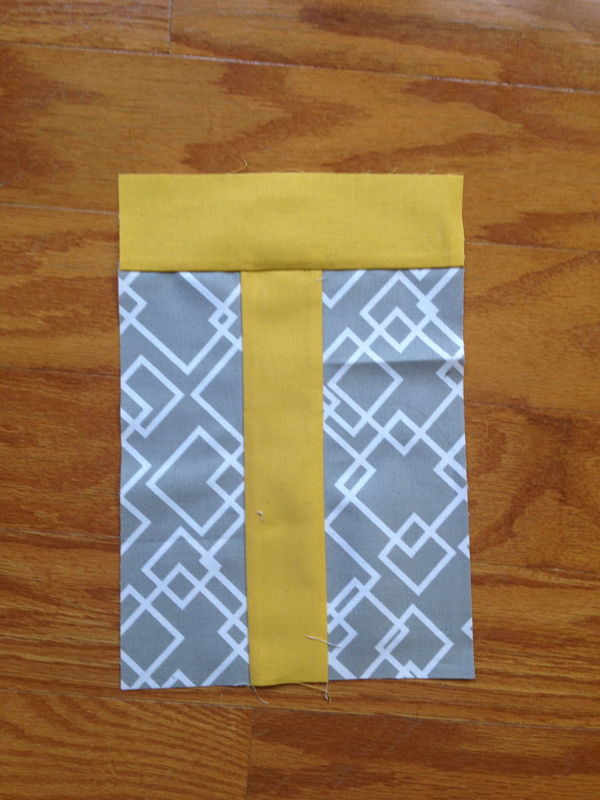 I might just talk someone’s ear off about skyline quilts. You can talk my ear off! Can’t wait to see how you make this one. Diggin the letters! 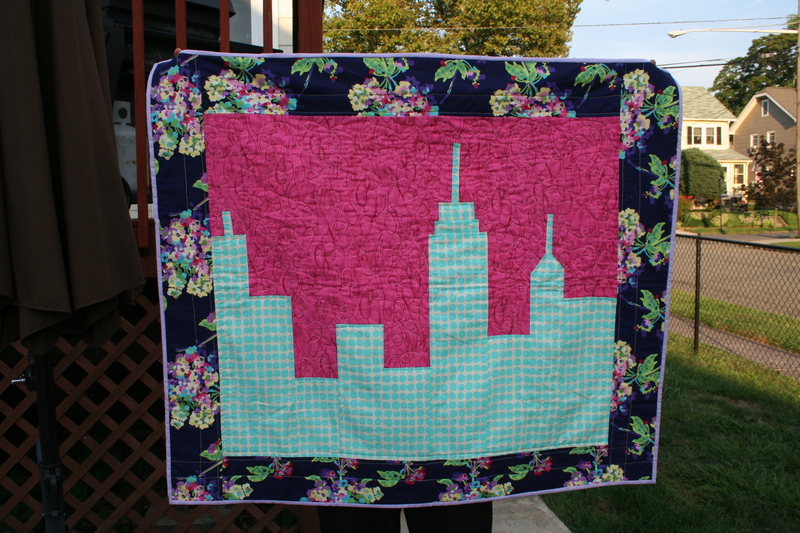 I love your NY quilts! It fits with my idea of making quilted pillows of people’s houses, which i have planned to do for years but haven’t got around to it yet. some day. . . .Your quilts are great. I want to come down for a lesson. Melaine yours jobs are awesome! I’d like to take classes with you.